"In Search of the Perfect Health System: International Lessons"
Mark Britnell is one of the foremost global experts on healthcare systems and has a pioneering and inspiring global vision for health in the developed and developing world. 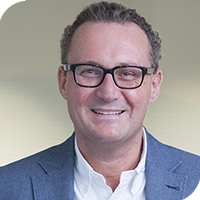 He has dedicated his entire professional life to healthcare, leading organisations at local, regional, national and global levels – provider and payer, public and private. After joining the NHS in 1989 he held senior operational and government posts before being appointed Chief Executive of University Hospitals Birmingham in 2000. He masterminded the largest new hospital build in NHS history, established the Royal Centre for Defence Medicine, and developed one of the highest performing healthcare organisations in the UK. Mark ran a NHS region before joining the NHS Management Board as a Director-General at the Department of Health, where he developed High Quality Care for All with Lord Darzi. He joined KPMG as Global Chairman and Senior Partner for Health in 2009, establishing a successful worldwide health practice. He is a member of the Global Agenda Council (Health Sector) for the World Economic Forum and sits on the Advisory Board of the China Center for Health Development at Peking University. He is also an honorary professor at Taishan Medical University School, and holds two honorary doctorates. Mark is a Board member of Prostate Cancer UK, having survived the disease at the age of 42.